YAVUZ SULTAN SELİM BRIDGE - Solvotek Mühendislik ve Bilişim Hizmetleri Tic. Ltd. Şti. YAVUZ SULTAN SELİM BRIDGE - Solvotek Mühendislik ve Bilişim Hizmetleri Tic. Ltd. Şti. Yavuz Sultan Selim Bridge is the 3rd bridge connecting Asia and European Continents over Bosphorus Straight. It has both motorway and railway and has some remarkable properties. It is the widest suspension bridge, and the longest suspension bridge that has a railway, and a suspension bridge that has the highest towers in the world. The bridge was opened in 2016. 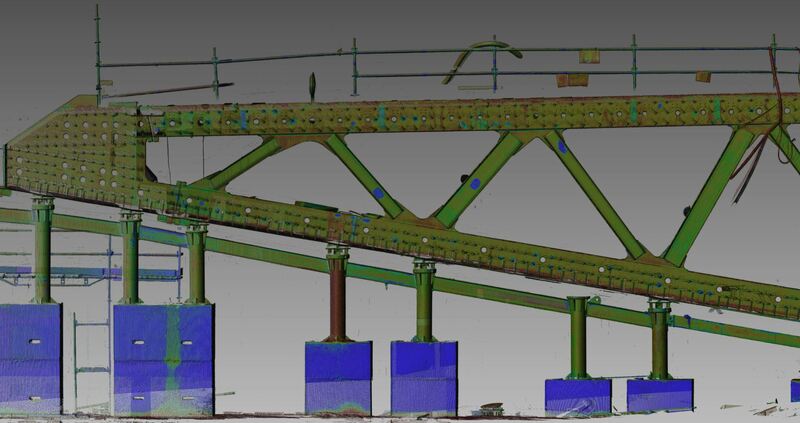 Solvotek was requested to scan and do quality control of the segments of the bridge where the steel ropes are passing through holes among each segment. These holes should be aligning with the other segments of the bridge. The 3d laser scan was done in high quality and resolution among each segment, where they were assembled. And the report on each hole aligment was delivered.